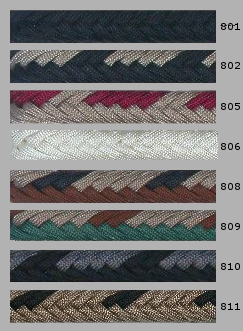 These are the finest braided parachute cord mecates available on the market today. 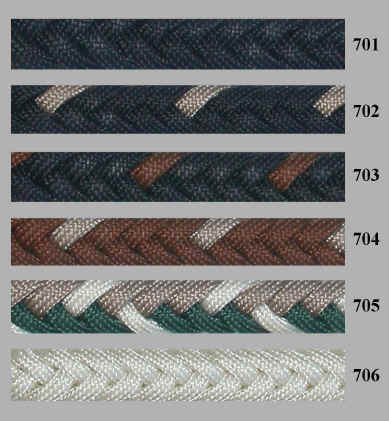 Made from 12 strands of military style parachute cord braided over a nylon core. 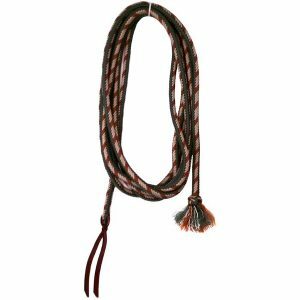 The square rope fits well in your hand and can be held comfortably along with your lariat. 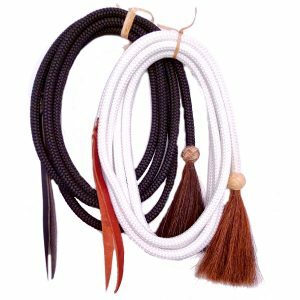 The square shape allows easy grip, and the parachute cord resists clinging or snagging. It is washable, very durable and will give you years of service. 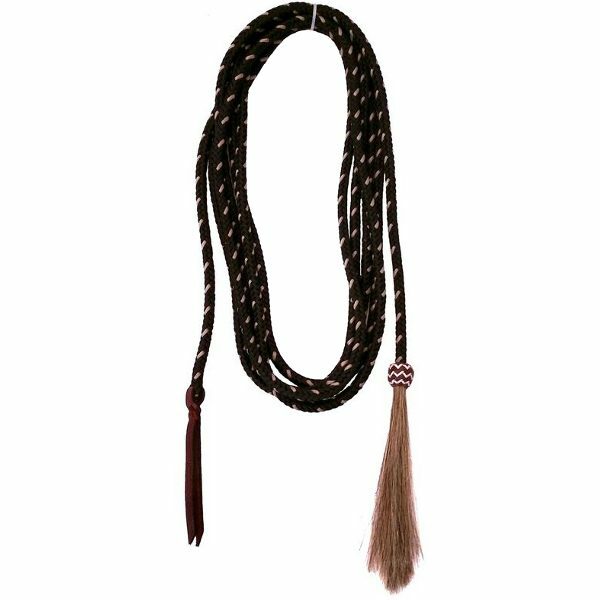 It comes with a horsehair tassel and a two color pineapple knot on one end and leather popper on the other.